MV Agusta F4 RR is one of the best racing motorcycles in the world which has the power to impress through its gorgeous looks and performance. Read the review to explore the features, technical specifications & price. 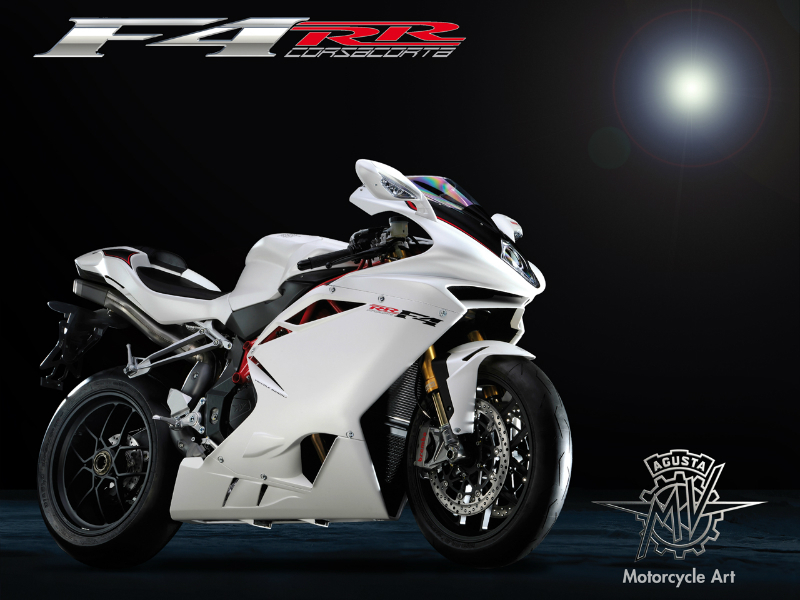 The sophisticated, stylish and high performance racing motorcycle MV Agusta F4 RR has become popular all over the world and is now ready to be released in India by mid-2013. Manufactured with some of the exotic materials, quality features and advanced technology, the bike is sure to stun every passerby. The macho and aggressive appearance of the vehicle is enhanced by its trendy fairing design which is designed carefully so that to assist better riding. The all new 4stroke, 4 cylinder, 998 cc engine serves as the soul of the vehicle. This refined engine is designed carefully to meet the demand of powerful performance. The newly structured crankshaft bore and stroke dimensions and thermodynamics are so designed so that it serves as a real racing bike by generating high power. The maximum power generated from this is about 200 Bhp at 13400 rpm and the highest torque achieved is 114 Nm at 9200 rpm. The power so produced reaches the wheels of the motorbike through six speed, constant mesh, cassette gearbox. 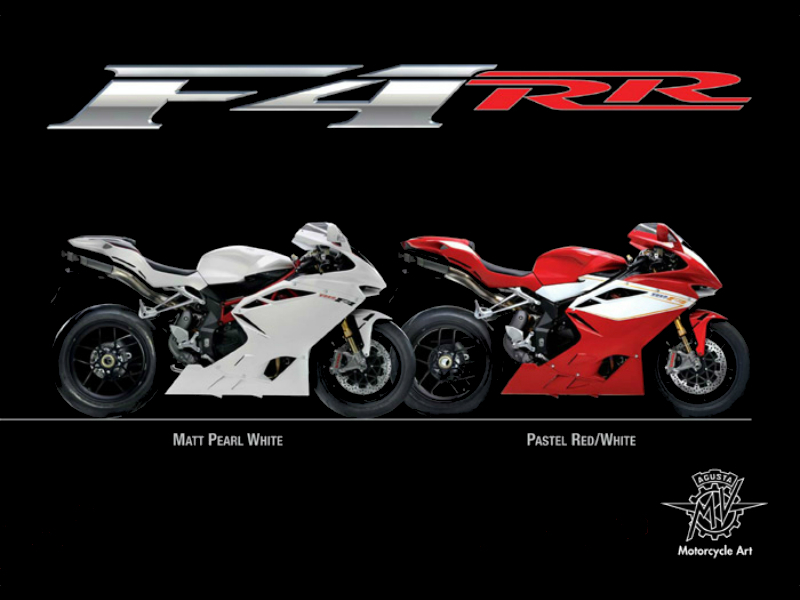 Exclusive design and advanced technology had led to the birth of world's one of the most powerful motorcycle, MV Agusta F4 RR. The body of the bike is made with unconventional materials such as aerospace alloy, carbon fiber and titanium which guarantee quality of higher standards. When it comes to its design features, the curves on the fuel tank, comfortable seat, stylish handlebar, attractive headlamp and each every part showcases its uniqueness. Not to be missed factor about the vehicle is its full fairing which adds sophistication. The F4 comes with high performance braking system namely the front 320mm twin discs and rear 210mm single disc which assures quick halt of vehicles even during critical condition. To improve the quality of riding the vehicle is packed with efficient suspension system including the telescopic hydraulic fork at the front and Ohlins TTX progressive single shock absorber at the rear. In addition to all this, the bike is carefully structured meeting the demand of aerodynamics thereby making driving more pleasurable. The mileage offered by the vehicle for Indian roads is yet to be known. 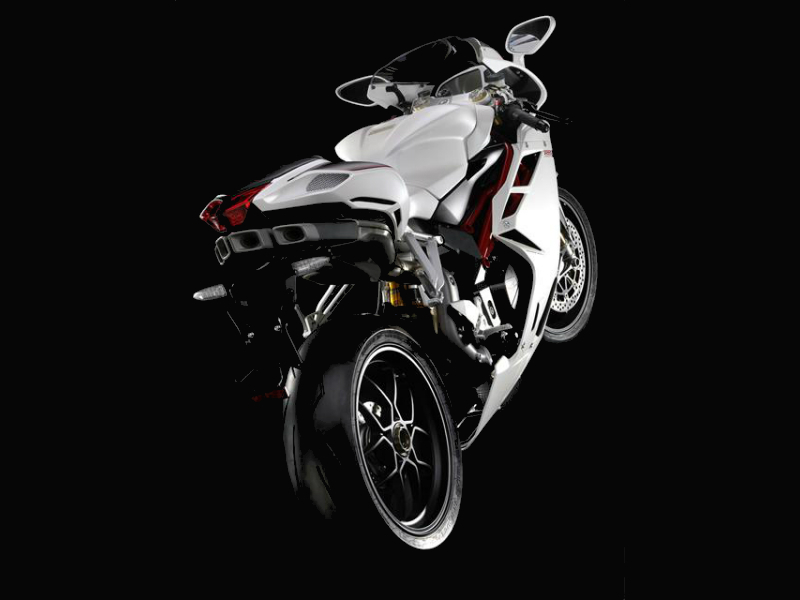 The sophisticated bike MV Agusta F4 RR is available at Rs.28,00,000 and the colors available with this are matt pearl white and matt red/white.